Unlike other in-display fingerprint technologies that constantly ping the screen to see if a finger is present, the Mi 8 Pro’s dedicated pressure sensor only activates the unlocking process once you place your finger on the screen, which is faster and more power-efficient. Mi 8 Pro sports the same camera setup as Mi 8, which received a DxOMark score of 105 for photography. The Sony IMX363 primary sensor features massive 1.4μm pixels and dual pixel autofocus, enhancing photo brightness and quality while drastically improving focus speed, especially in low-light conditions. Bolstering 4-axis OIS and 2x optical zoom, plus a bunch of handy AI features such as AI portrait, AI beautify and AI scene detection, this is one of the best camera setups in the world. This AMOLED panel offers a startling contrast ratio of 60,000 to 1, meaning incredibly crisp colours and deep, power-saving blacks. With an 18.7:9 aspect ratio, it provides an unmatched visual experience that is highly practical and beautiful. Always-On display support provides a convenient way to check your notifications, the date, and the time, while saving time and battery life by keeping the screen off. Mi 8 Pro sports the flagship Qualcomm® SnapdragonTM 845 platform. With a 2.8GHz maximum clock speed and the new Qualcomm® AdrenoTM 630 GPU, the platform outperforms its predecessor by up to 30 percent. The platform also features a newly introduced DSP architecture with AI performance three times higher than the previous generation. 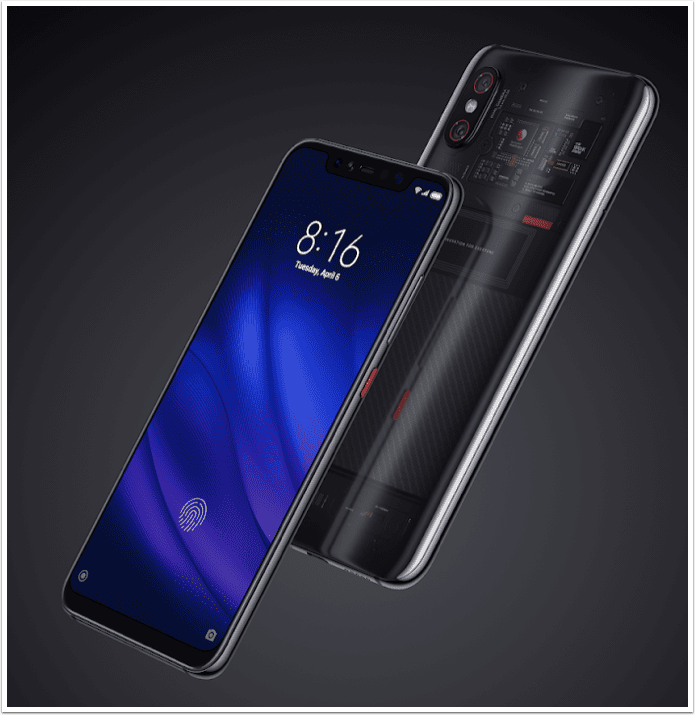 Supported by 8GB LPDDR4x DRAM, Mi 8 Pro can render the most demanding games at high FPS for an unparalleled gaming experience.Mi 8 Pro also features face unlock with an infrared camera paired with a dedicated infrared illuminator, enabling rapid and accurate face unlock in a dark environment, and uses the same dual frequency GPS as Mi 8 for more accurate navigation.The Mi 8 Pro comes in Transparent Titanium with an 8GB + 128GB setup and will be available from the 9th November through Three, Amazon, Argos, John Lewis, Carphone Warehouse, Currys PC World, Very, gomobile, mobile phones direct, Katana and Mi.com and the first Authorised Mi Store that will be opened on Nov 18. Xiaomi also announced today that it will open its first ever Authorised Mi Store in the UK, opening 18th November 2018 in Westfield London which will also host a range of its exclusive Mi Ecosystem products. Designed to be user-centric through mobile internet, the ecosystem creates a network of long-lasting, and stylish looking smart devices designed to make life easier from Mi Band 3 to the Mi Sphere Camera Kit.